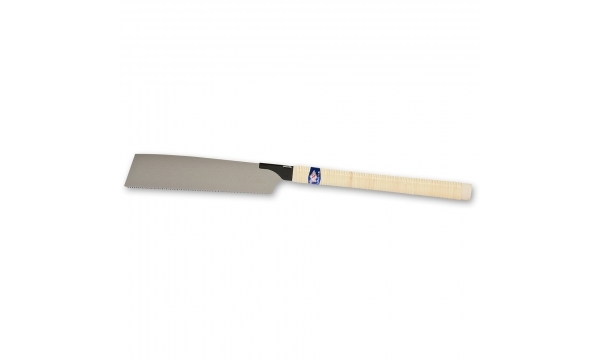 Dozuki - a saw with back that lends rigidity, enabling very precise cuts to be made. 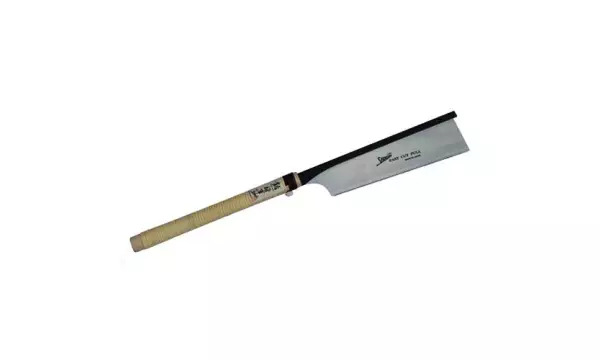 Ryoba - a saw with teeth on both sides of the blade, for crosscuts and ripcuts. Kataba - a saw without back, with teeth on one side of the blade. 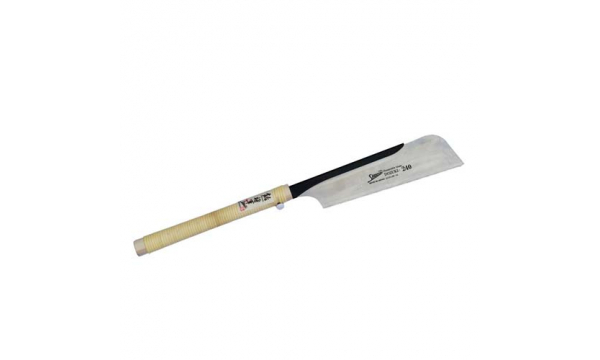 The Kataba comes as a crosscut saw. Ripcut blades are available. 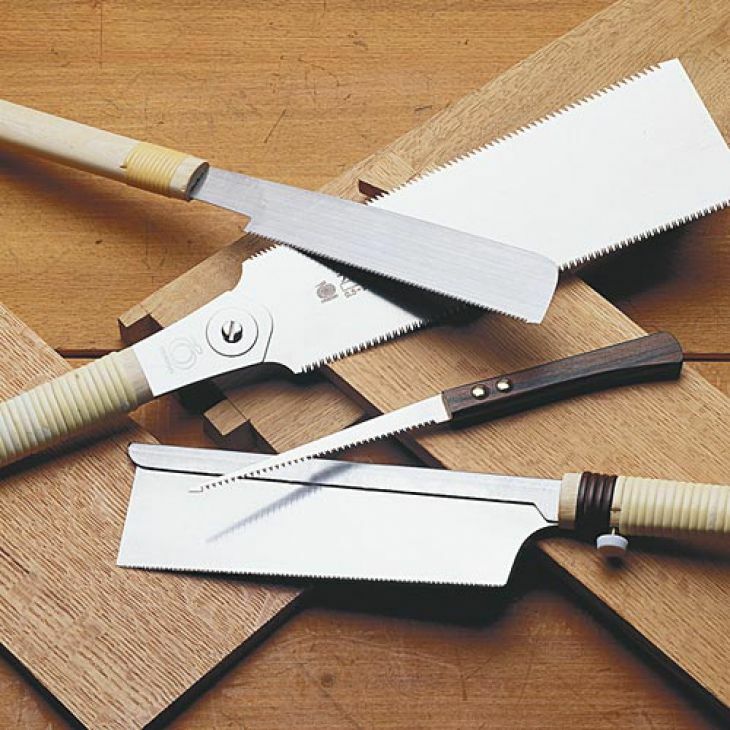 In Japan a basic distinction is made in respect of the teeth, according to whether the saw is to be mainly used with the grain, as in ripping, or mainly across it, as in crosscuts or shortening. Which is the right saw for me? First: You do not have to be enslaved by the prescribed use of the saw. It is perfectly possible to use a crosscut saw to cut with the grain as long as you do not mind the slow speed, and crosscuts are manageable with a ripcut saw - the cut will just not be as clean. The saw itself will not come to any harm. If you are a beginner, never buy the most expensive saw. 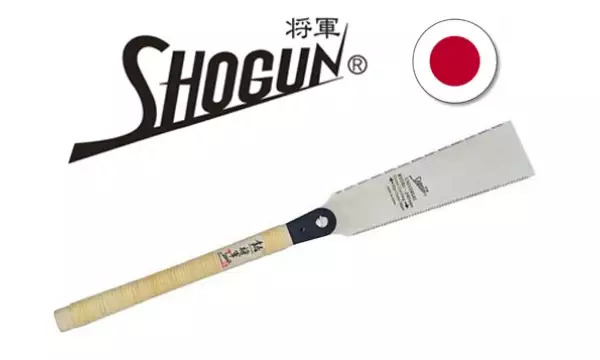 In my experience, people do not change sawblades because they have got blunt, but because the blade has snapped or teeth have been ripped out through misuse. If the saw did not cost too much to start with, this hurts less! Backed saws are always easier to steer than free saws. 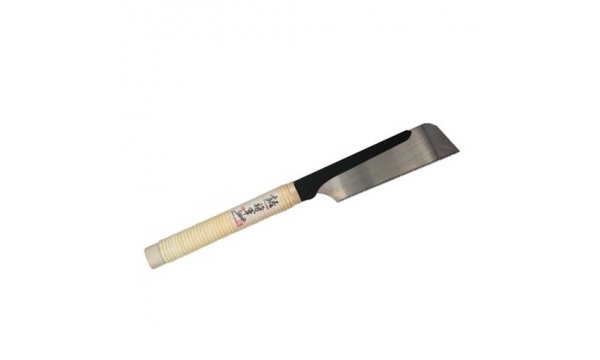 They do, however, have a limited depth of cut, the blade is thinner and the teeth therefore delicate. The blade of the backless saws are thicker, more sturdy and allow deep cuts. It is your choice, which one you prefer. To fulfill all demands, you will need both. BUT: these are thoughts, not a ready-made solution for every situation. Please do not hesitate to ask for advice - ring, or send a fax or e-mail. 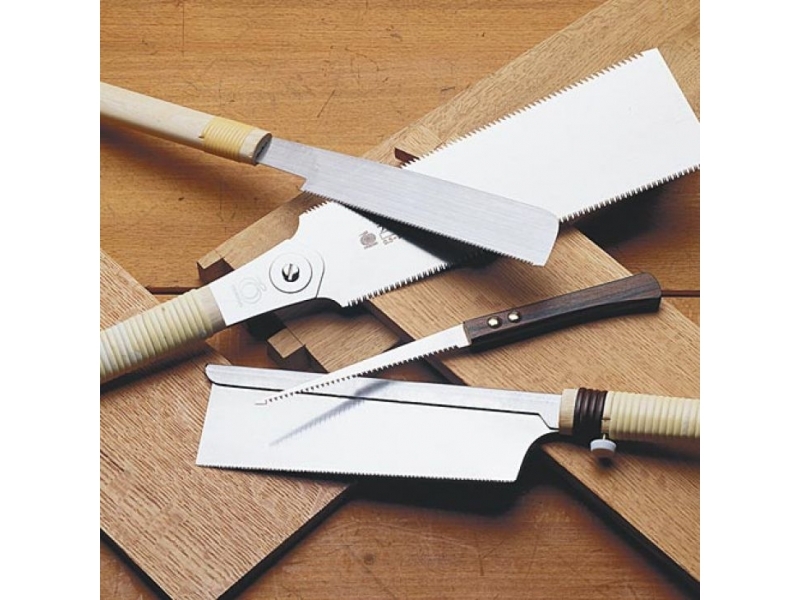 The best way is to try the saws on a visit to the shop; often the choice simply makes itself. 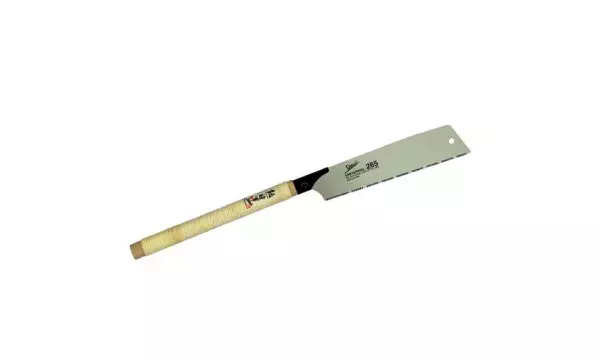 About the dimensions given: the width of the blade is always measured at the centre, number of teeth per inch or cm likewise, as the pitch, or distance between the points of triangular teeth narrows nearer the handle. All measurements are given in good faith and to the best of our knowledge, but without guarantee.